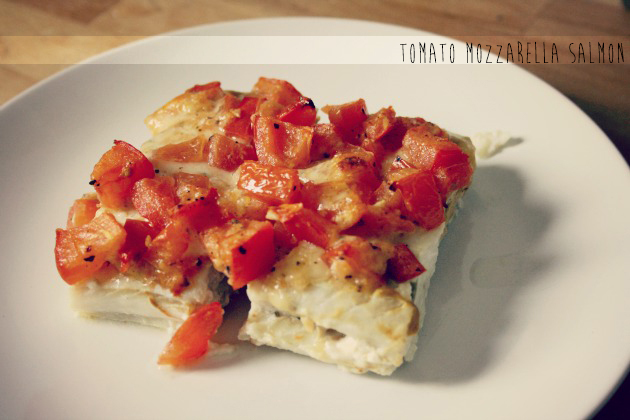 LOW CARB RECIPE: TOMATO MOZZARELLA SALMON. Have you all been wondering what happened to my fitness inspiration posts? I made some posts some weeks ago about how I wanted to become more fit, to lose some extra weight etc but it became pretty quiet after some time. The reason is, that I lost quite some weight in a short period of time (3-4 kilos in 1-2 weeks) with doing sports and eating more healthy. 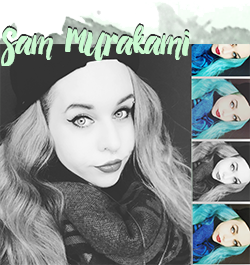 However, I had exams in university, a lot of stress and fell back into old habits so that I gained that weight back pretty fast. I think I was really consequent for one month but then lost track of what I was doing. Shame on me! I decided for a less radical way now in order to prevent such events from happening :) Just in general, I try to limit my carbs, fat and sugar. I mostly have low carb dinner for 2 or 3 days and a "normal" dinner to prevent any craving, sometimes even two normal dinners (mostly pasta because I cannot live without pasta.) I also try to make sauces etc all by myself because I tend to buy premade mixtures due to little time ._."